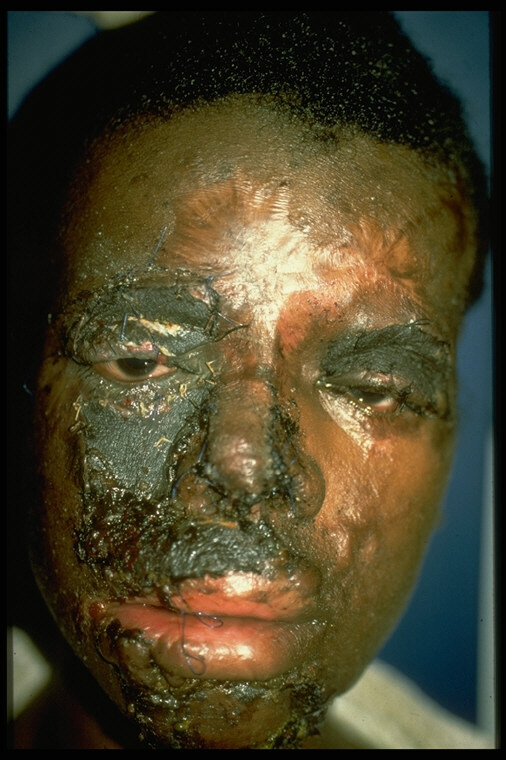 Burns are one of the most frequent causes of injury in the developing nations, because daily life is closely connected with the handling of open fires, whether for cooking, heating or working. 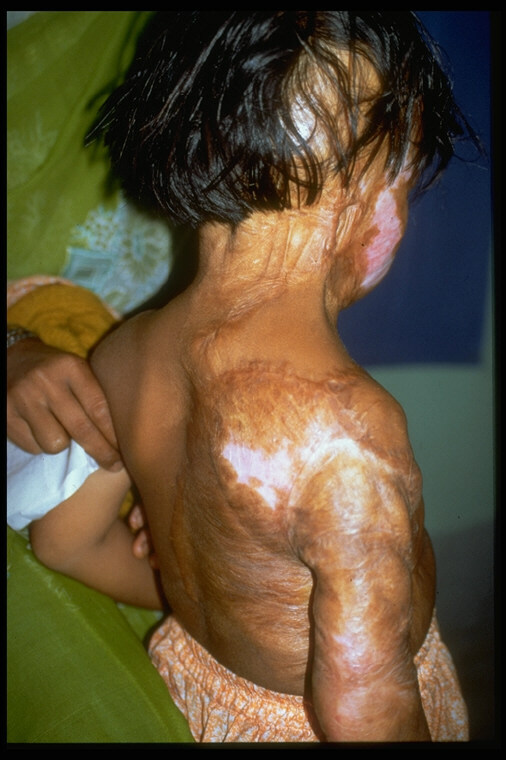 Especially children are at risk, because when playing they often come across unguarded fireplaces and therefore catch disastrous burns. 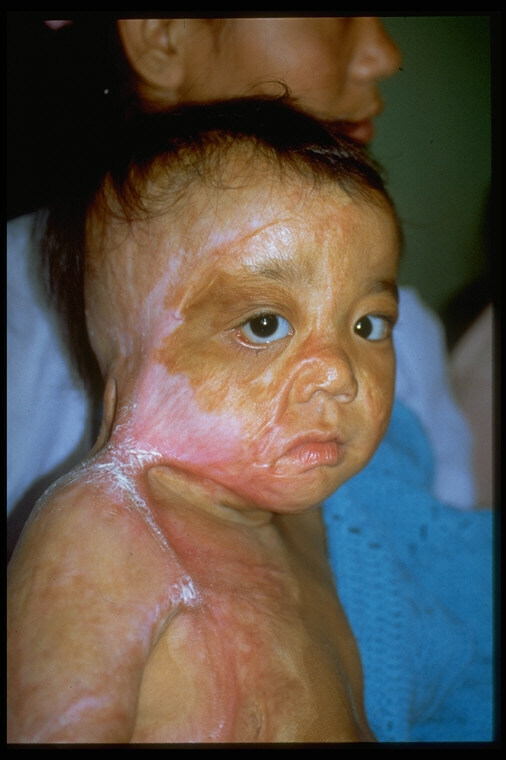 Since an immediate treatment of burns according to our standards is often not possible, the consequences of protracted healing by second intention are burn scars. 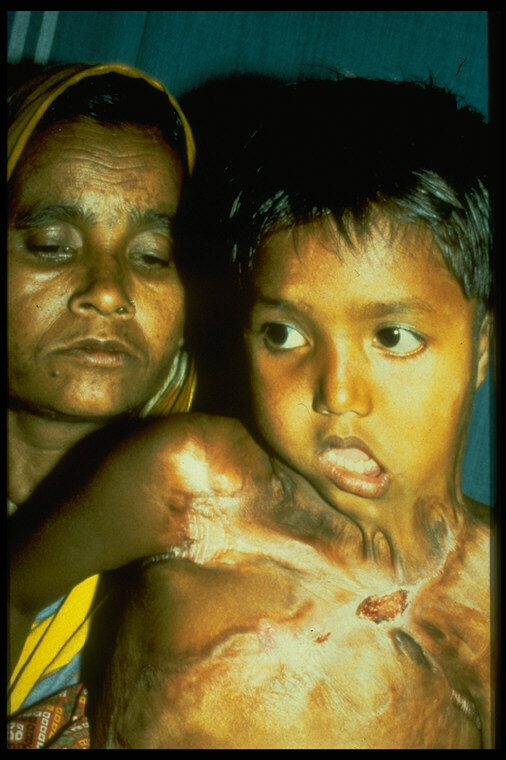 In the form of burn scar contractures they can lead to drastic deformations and terrible functional disabilities. 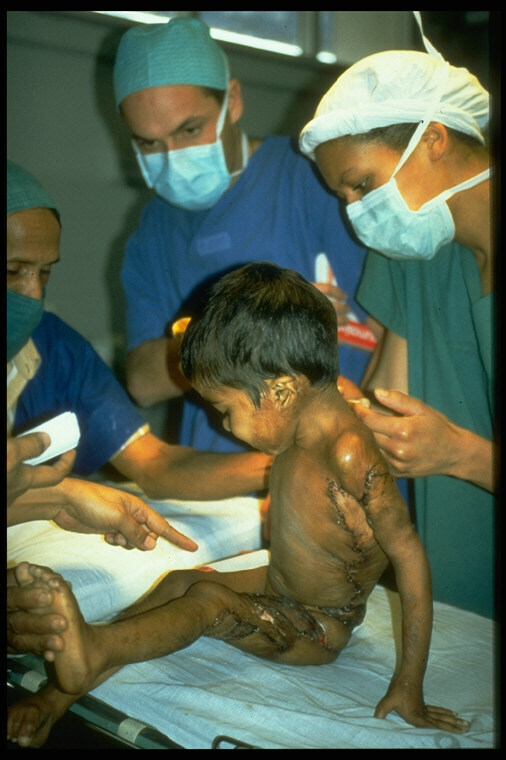 For more than 20 years INTERPLAST Germany has been organizing surgical team trips to Africa, Asia and South America. 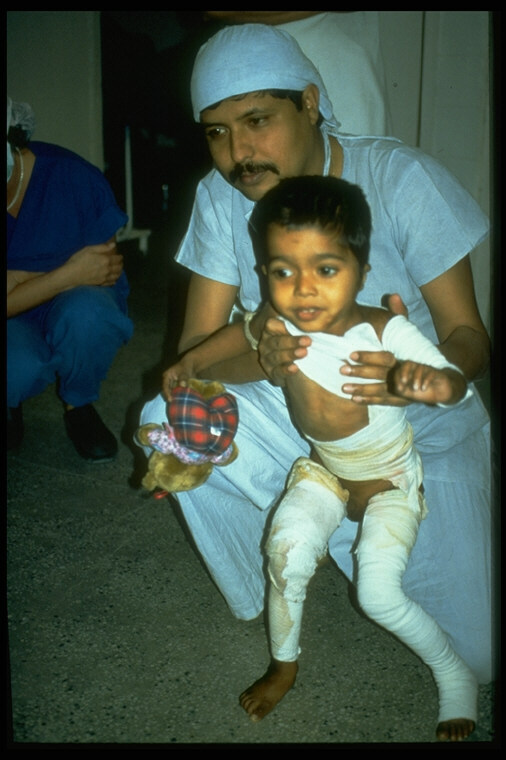 These missions aim to help these burn victims with reconstructive surgery. So we developed treatment strategies which are conducted according to the restricted possibilities of developing countries. 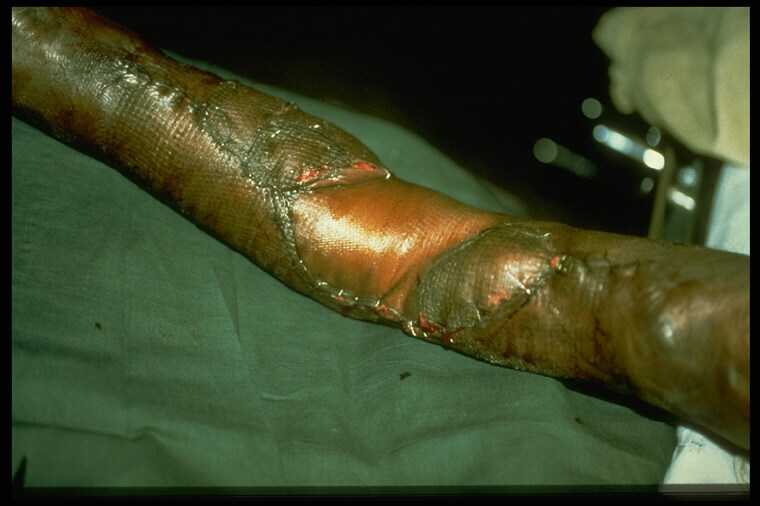 Intensive aftercare, scar-compression therapy or physiotherapy is rare. In the following, some typical, frequently occurring contractures and their plastic corrections are described. 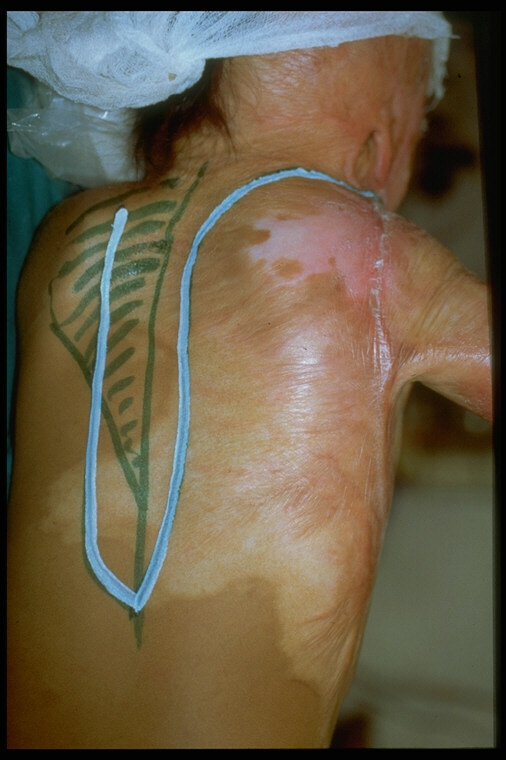 The reconstructive surgery of late consequences of burns demands often a combination of different techniques in cases of complex scar formation, of which the value depends on the effectiveness and the security of the application. Therefore especially rotation and transposition flap plasties and full thickness skingrafts in cases of the separation of contractures and the healing of defects have turned out to be a good solution. 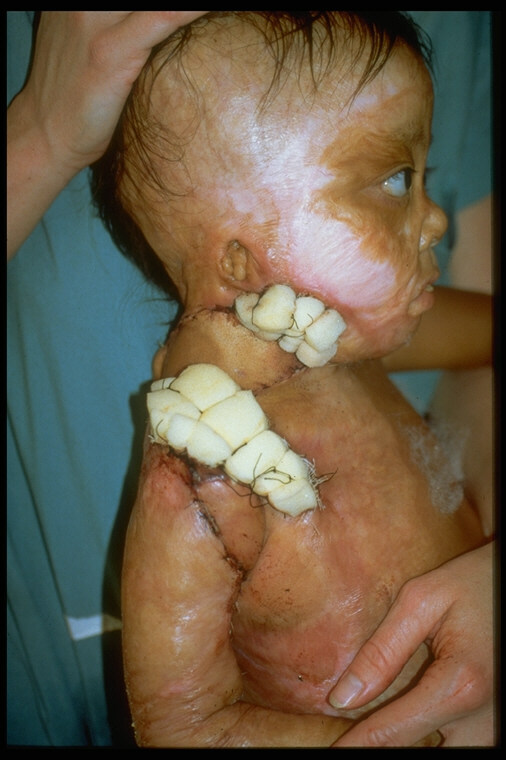 While successive z-plasties and y-v-plasties can be carried out safely, they often bring, in case of serious contractures, only a limited functional gain, particularly if only closed tissue can be shifted. Split-skingrafts should only be the last possibility to heal the defect, because it is subject to the tendency of contraction in joint areas and may lead to unstable scars. 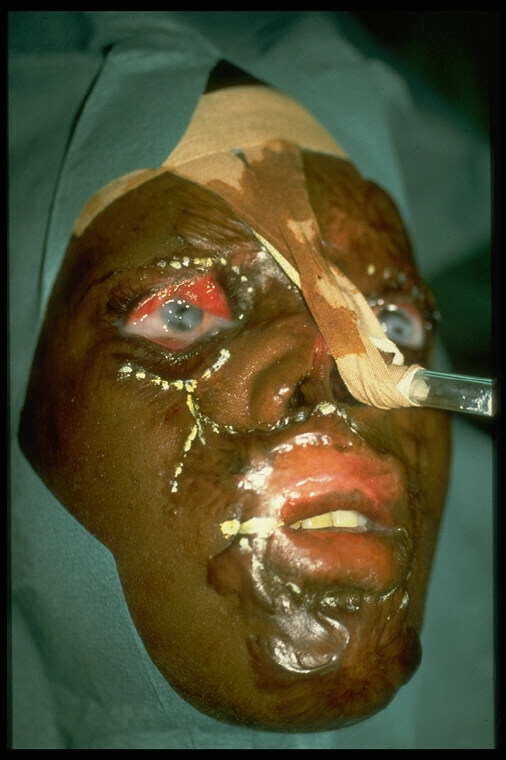 The selection of the reconstructive technique depends on the quality of the adjacent tissue and the remaining skin and soft tissue reserves. 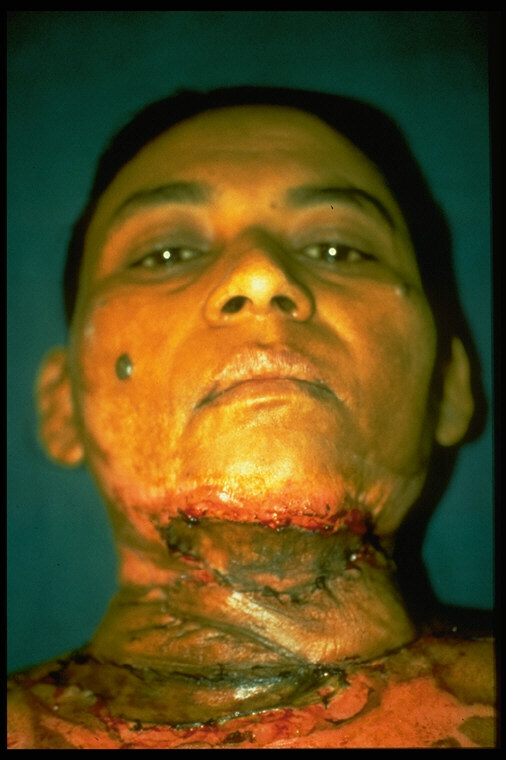 If there is enough adjacent, non-burned tissue, the fasciocutaneous rotation flap plasty is the best solution to secure healing and subsequently obtain good results. 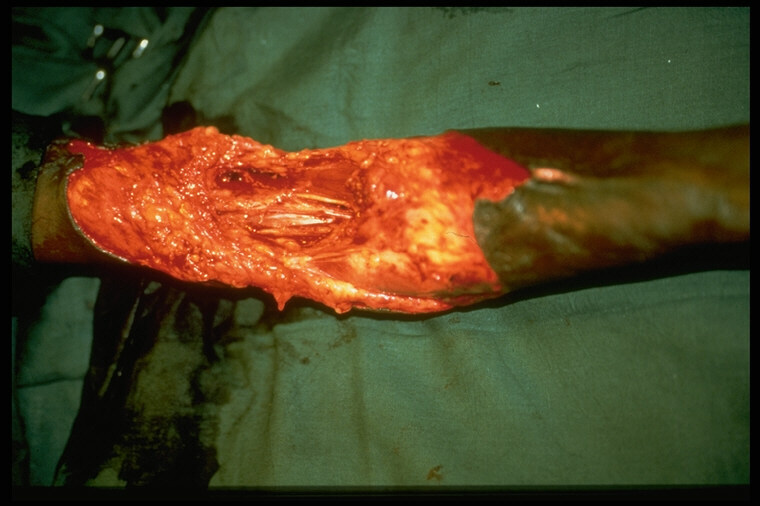 If extensive contracture areas are concerned, the best solution is a combination of a musculocutaneous island flap plasty and a skin graft, where the flap plasty should prevent a contracture recurrence. 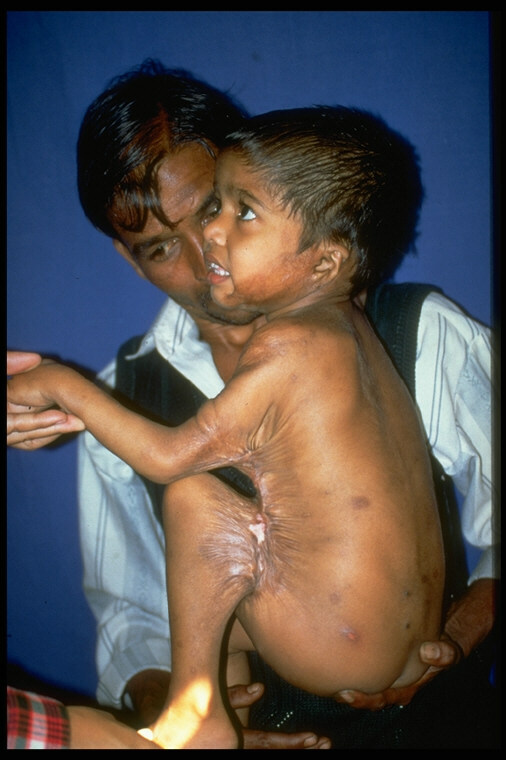 As long as the developing countries do not have the possibility to build up an exhaustive emergency surgery care for the victims of burns, countless patients are furthermore dependent on secondary reconstruction. During the INTERPLAST trips therefore the direct help for the patients and the training of the on site doctors play an important role. 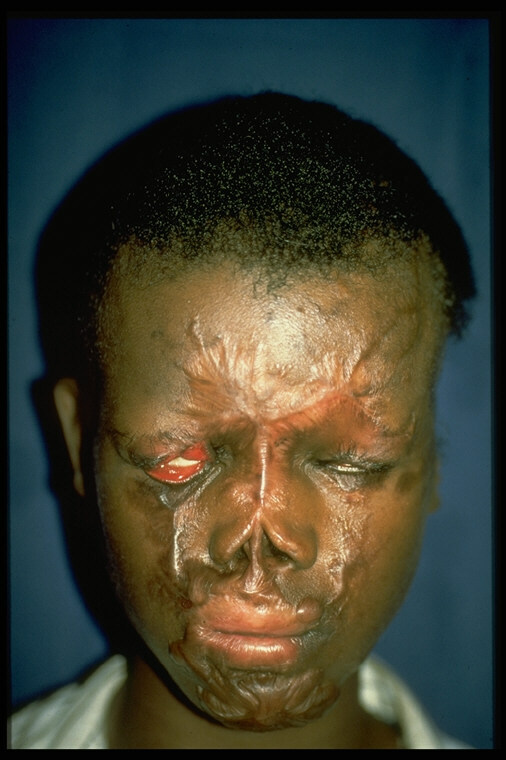 They should be skilled in the basic techniques of reconstructive surgery including skin grafts, z-plasties and rotation flap plasties to be able to help their own patients better in the future. 4. Musculocutanous trapezius-flap plasty and result after 2 years. 6. 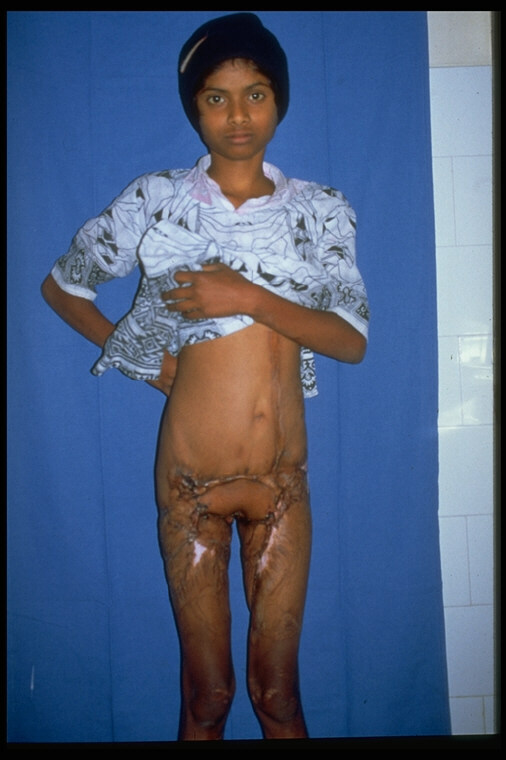 Serious burn contractures in the hip and pubic region treated with a VRAM and result after 3 years. 7. 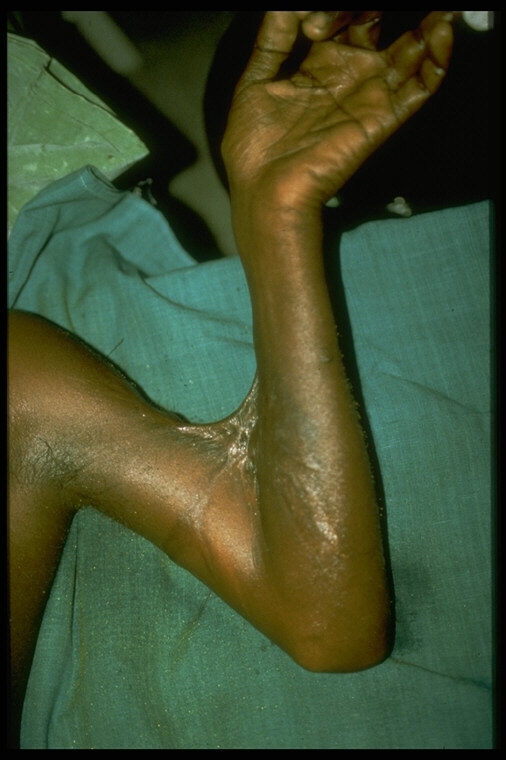 Burn contracture in the shape of an arch at the arm, torso and leg, treated with a combination of rotation flap plasty and skin grafts. 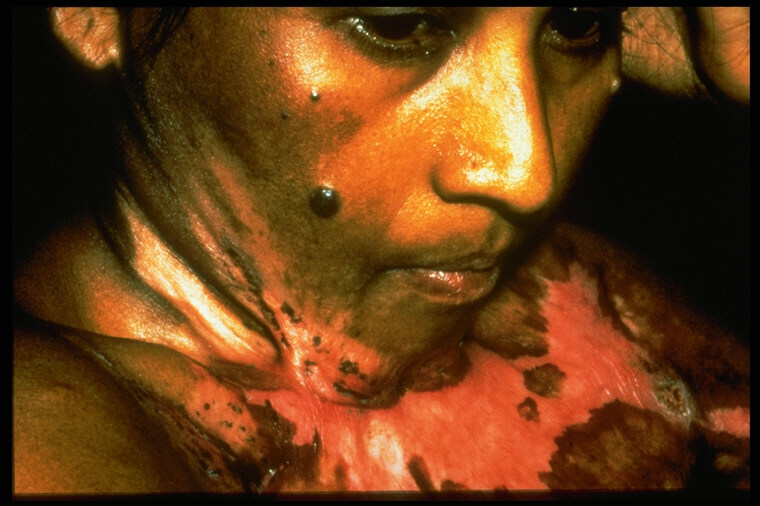 On the spot instruction of the doctors and nurses concerning the aftercare.